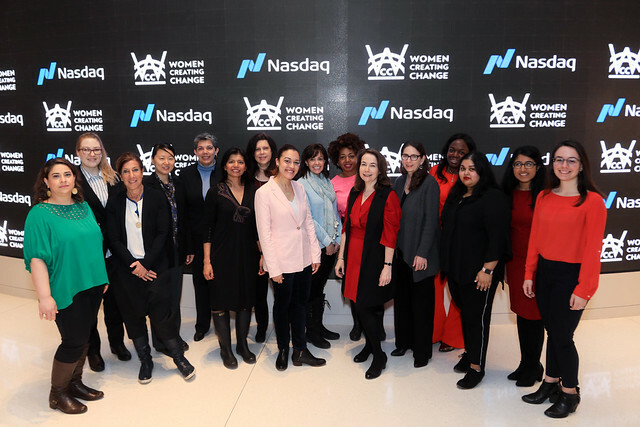 On March 22, WCC members, supporters, and board members gathered at NASDAQ to ring the opening bell and announce the organization’s new name, vision, and mission as Women Creating Change. It was an honor to celebrate Women’s History Month and to and launch a new chapter in our organization’s century-long history. Check out this momentous event and join us as WCC embarks in a bold new direction. Learn more about Our New Direction.